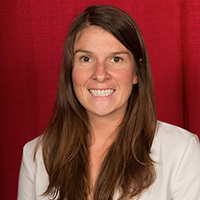 Claire Harris is a Staff Hydrogeologist with GEI Consultants, Inc., and a recent graduate of Illinois State University with a focus in physical hydrogeology. During her time with GEI, Claire has performed a variety of supporting functions and field work at petroleum release sites including: operation of a light non-aqueous phase liquid recovery system, natural source zone depletion testing and data analysis, groundwater sampling, plume delineation and stability analysis, site data gap analyses, and transmissivity calculations. Natural Source Zone Depletion (NSZD) is an important process in the remediation of LNAPL. NSZD describes the reduction of LNAPL mass by naturally occurring processes that degrade hydrocarbon constituents. Guidance documents from API and ITRC summarize systematic processes to qualitatively assess and quantitatively measure NSZD through various evaluation processes. NSZD rates have been reported in the range of 300 to 7,700 gallons/acre/year. However, these rates are reported from sites with unconfined LNAPL where there are no barriers to vertical transport of gases produced by biodegradation processes. Where LNAPL is present under confined conditions, saturated soils above the source zone may interfere with the vertical transport of gases and require modifications to the standard methods. Three methodologies (dissolved gases, surface carbon traps, and thermal profiling) were implemented to evaluate the best methodology(ies) to measure NSZD under confined LNAPL conditions.